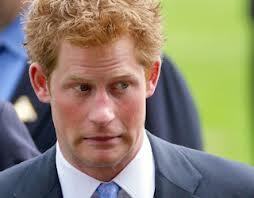 Prince Harry, eh? Naughty Prince Harry. (Pauses to picture ‘Little Harry’.) Tut tut tut. So, while I’ve been brushing up on my image-enhancing software skills, I’ve been thinking…if the chess-board was to be modernised and the dude on the horse was to be lobbed out in favour of a prince – what would the little fella look like? A noble gent? A mischievous chancer? What is a prince? History is peppered with stories of these privileged sons of Kings. We are taught to read with storybook tales of romantic chaps who save princesses and declare wild vows of love, action heroes who go on adventures and triumph in the name of Good. But what are they, really, real princes? Are princes men of blue-blood graced with special qualities unattainable by the common man; crown-wearing heirs to a God-given position of power? Or can they be found closer to home? A cherubic son who brings you a daisy with your soup when you’re ill. A brother who lends you his last tenner so you can buy a dress. A boyfriend who burps your name like Tarzan while dive-bombing into a Magaluf pool. Are they princes, if our hearts say they are? Prince Harry’s antics in a Las Vegas hotel suite had everyone wittering on about what it means ‘to be a prince’. Was it disgusting and disrespectful that he was cavorting naked with girls who didn’t even have a trust fund? Or was it a breath of fresh air to see that our royals are humans with a sense of fun too? We’ve had all sorts through the ages. Peaceful princes, spiteful princes, mad princes, jolly princes, princes who eat grass and believe they are a goat, princes who fancy their mums, princes who kill their mums, playboys, gluttons, kleptomaniacs, psychotics, loons, dandies and fools – humble, proud, bonkers, enlightened. Can the Royals ever get it right?